find out all you need to know about Fridges from our Buyer’s Guides to Refrigerators, freezers and chillers. Fridges are no longer just boring white boxes that sit under the kitchen worktop. Our range of standalone fridges include both tall and under-counter models, finished in black, white, stainless steel or retro designs to suit your style and pocket. 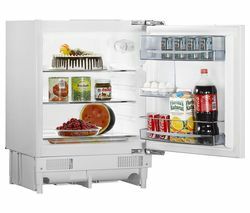 If the amount of food you can store in your fridge is important to you, check the capacity for each of our models in the specification, they range from 3 to over 11 cubic feet. 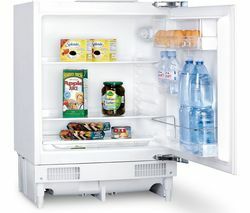 All of our fridges have A or A+ energy ratings for efficient electricity use. Fridges from Currys PC World come in all shapes, styles and sizes so we’re sure you’ll find the perfect fridge for your home here.